Hello, we are Touch of Class Plants. We specialise in the production, distribution, management and marketing of quality, modern plants. 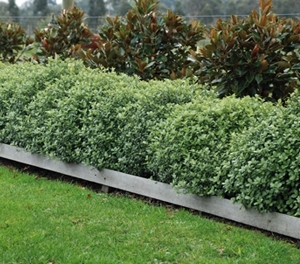 Touch of Class Plants is based in Tynong, Victoria, Australia. As well as the marketing, management and promotion of our own specialised, modern plants, we offer a variety of services to all Plant Breeders, Wholesale Nurseries, and Retail Nurseries. Working in conjunction with our award winning parent company, Greenhills Propagation Nursery, we are able to provide a total premium package of production, distribution, management, marketing and promotion. This includes the initial tubestock propagation, through to the rollout of plants within retail nurseries. Touch of Class Plants are experts in plant licencing and protection within the industry. A Plant Breeders Right certificate ensures that it is maintained to the highest of standards. Other services also include the quality, custom design of plant labels, point of sale posters, point of sale flyers, and online media to ensure that all plants managed, stand out from the crowd. 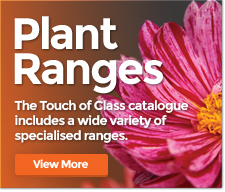 Touch of Class Plants also have a wide variety of contacts within retail, wholesale, and landscape sectors. Want to learn more? Contact Touch of Class Plants here. Want to know what our Top 5 Selling Touch of Class plants are? Click on the image below to see more information about that particular plant. Want to know what everyone is liking? Below are the Top 10 Most Viewed Touch of Class plants. For more information, click on the image below.